The simply styled table has a smooth rectangular table top above sleek square tapered legs. The table has a smaller scale, making it perfect for small homes and apartments. The chairs have high vertically slatted backs, above square tapered legs. The padded seats are covered in black colored leatherette that adds to the comfort and durability of these chairs. 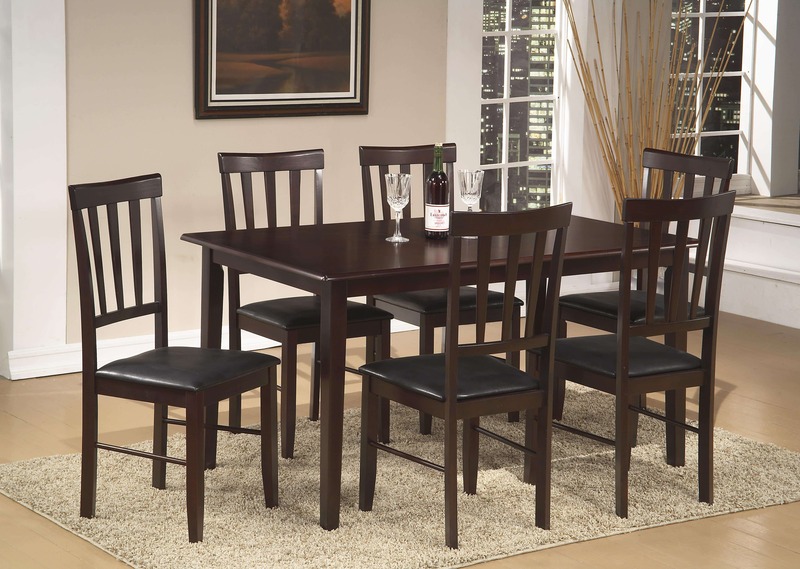 Add this stylish dining set to your dining room for a warm and inviting space where friends and family will love to gather.